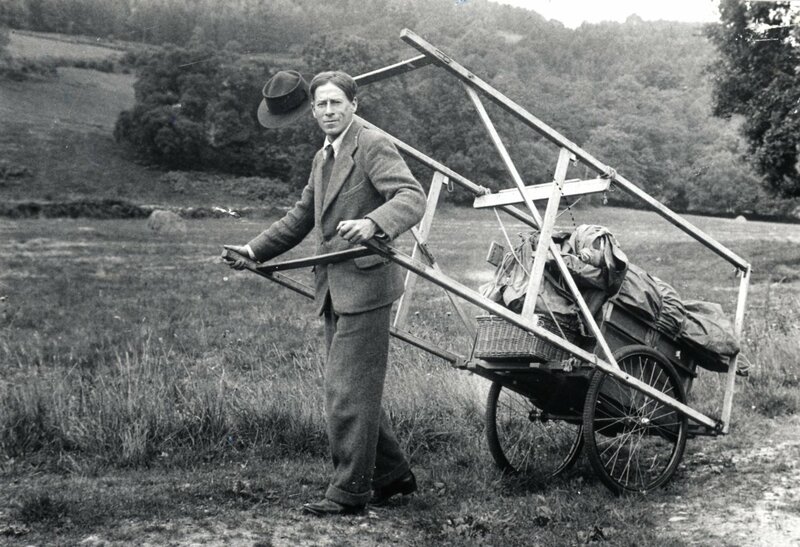 British author, amateur naturalist and puppeteer. 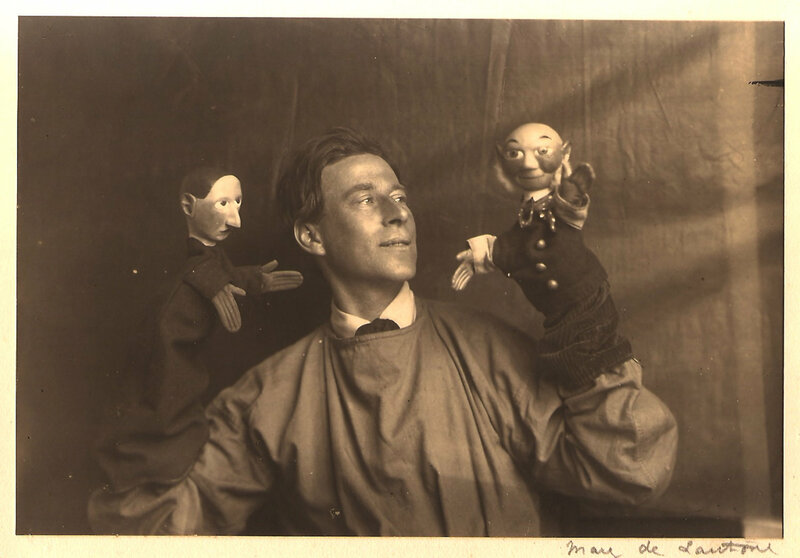 Walter Wilkinson combined his interests by wandering through the British countryside in the summer, performing with hand (glove) puppets and writing books about his travels. Before World War I he lived in Florence with his brother Arthur, a painter, and Lily Gair from Edinburgh, and became an acquaintance of Edward Gordon Craig. At that time they had all developed an interest in marionettes (string puppets) and constructed a set of figures with the idea of setting up a marionette company. Returning to England, the three set up a touring company under the name of the Gair-Wilkinson Marionettes. They toured together for a while but Arthur declared himself more interested in painting so Walter developed a one-man show. He made a set of hand puppets and advertised his performances as “A modern artistic Puppet Show on the principle of the old Punch and Judy”. His art belonged to the English folk tradition with a repertoire of playlets and sketches including Soldier, Soldier, Won’t You Marry Me? (a folk song), Thersytes (an old English Morality Play) and a quarrel scene from William Caesar by Julius Shakespeare, described as “a try-out of the smallest actors on the greatest words”. During a lecture/performance tour in the United States he performed at the White House, and also in Canada where local puppeteers were impressed by the dramatic possibilities of his simple figures. Walter Wilkinson’s first book The Peep Show (London, Butler and Tanner, 1927) describes making puppets and journeying through Somerset and Devon. Other books relating to puppets are: Vagabonds and Puppets (London, Gordon Bles, 1930), Puppets in Yorkshire (ibidem, 1930), A Sussex Peep-Show (ibidem, 1933), Puppets into Scotland (ibidem, 1935), Puppets in Lancashire (ibidem, 1936), Puppets through America (ibidem, 1938) and Puppets in Wales (ibidem, 1948). In 1954, Walter Wilkinson and his wife Winifred made a tour of Australia under the auspices of the Australian Children’s Theatre, but his book about these travels was never published. 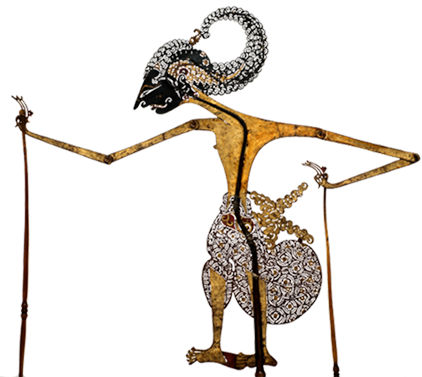 His glove puppets may be seen in the Pitt-Rivers Museum in Oxford and the Bethnal Green Museum in London. 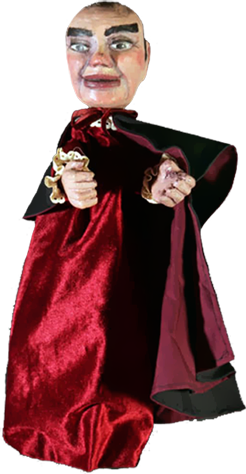 In 1985, a dramatized documentary of his life, The Puppet Man, was made for television, with Roy Hudd playing Wilkinson. Clark, M.T. The Strolling Players. Melbourne: Lansdown Press Pty. Ltd., 1972. Hogarth, Ann. “Walter Wilkinson. Writer and Puppet Player”. Theatrephile. Vol. II, No. 7, Spring 1985.